People can have good or bad timing. Lately I've been feeling the same way with books. I seem to keep starting books but have trouble finishing them in one go. I crack open one book, get some chapters in, leave it, then head on to the next. It's not like the books are bad or uninteresting. I'm just not feeling any of them at the moment. And this is where timing comes in. I know we've all been through this: we come across a book that we can relate to on so many levels that you fall in love with it instantly. You love it not really for the story or the writing or the characters. No. It's more than that. You love it because this is you in a book. Well at least that's how I felt reading The Boyfriend Backtrack. Perhaps the book and I just had perfect timing because I've been "dealing" with something the past few weeks so I was more than glad to come across a book that described how I was feeling. 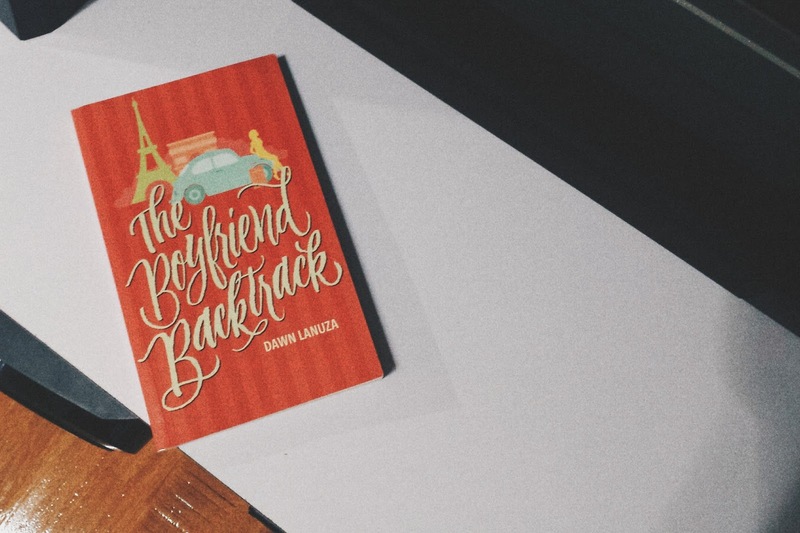 Or Dawn Lanuza's honest writing got to me. Maybe it was both. That's the thing with this book; it paints you a picture that you don't often find in love stories. Usually we get either ends of the spectrum in romances: the ultra shy girl who comes out of her shell in the end or the fearless lover who freely expresses herself. But what about the girl in between? The girl who's confident enough to meet guys and go on dates but can't bravely handle confrontation and having to do "the talk" with someone? What about the girl who cruises along and pretends she's happy with something (or someone) until she can't take it any longer? What about the girl who simply can't deal right now but says I'll get to it when I have to... eventually? I'm probably making the protagonist, Regina, sound rather unappealing right now but trust me when I say this, she is as real is it can get. And that is precisely what made the book so enjoyable for me. What's amazing is that even though Regina's passiveness was bordering annoying at times (I'm pretty sure I'm more annoying but it's different if you're reading about a fictional character's problems), there was still enough room for growth and it didn't seem so sudden once she turned things around. None of it felt forced, even though you can practically see the ending as soon as the book starts. The predictability did not take away the entertainment factor, trust me. The light humor in the present c/o Regina's friends and the fun flashbacks to her college days (and boyfriends) balanced the drama out perfectly. Overall, I think the story flowed smoothly from start to finish. A definite page-turner. So... what's the verdict on this one? I pretty much gushed about it (in a low-key way) so you just know that I'm gonna be pimping this book out to contemporary romance junkies every chance I get! Get a copy and dive right into it. You will not regret it. P.S. Super thanks to Mina Esguerra for giving me a copy of the book!